You wouldn’t want to eat jerky that came all the way from China, and neither should man’s best friend. Realizing the health complications that come from feeding Fido mystery meat treats, Bixbi of Boulder, CO set out to make a line of 100% American-sourced snacks and supplements. Besides offering your dog truly nutritious nibbles, Bixbi’s website provides an easy search for finding products locally, offers educational resources, and even provides a petition for fighting tainted dog treats in the US. 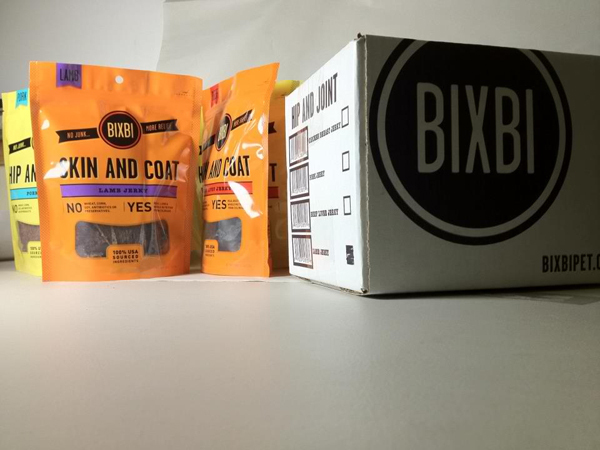 Bixbi treats have our dogs’ (and our) tails wagging. Available at Bixbi along with a full list of local vendors.